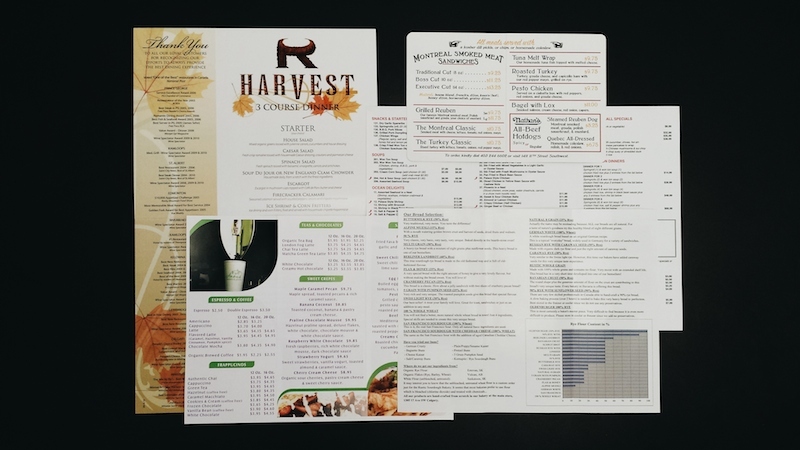 At Minuteman Press Beltline, we excel in the design and printing of all types of menus. There are different types of menus including: traditional restaurant menus, take-out menus, online menus, electronic menus & many more. These are not limited to just restaurants and include: salons, catering companies, coffee shops, and bars. 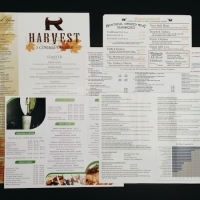 Menus are meant to be appealing and easy to read for customers. At Minuteman Press Beltline, our professionally trained staff are able to organize your thoughts and ideas into a format that is not only affordable for your printing budget, simple to understand, memorable, and coherent. No matter the format of the menu, we have a solution for you. We offer a wide range of sizes, paper stocks, and finishing options to meet your needs. 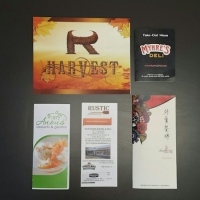 Whether you own a restaurant, a local pub, a bar, a salon, a catering business, or you are part of an international franchise, we have a completely customizable and affordable menu printing solution for you. 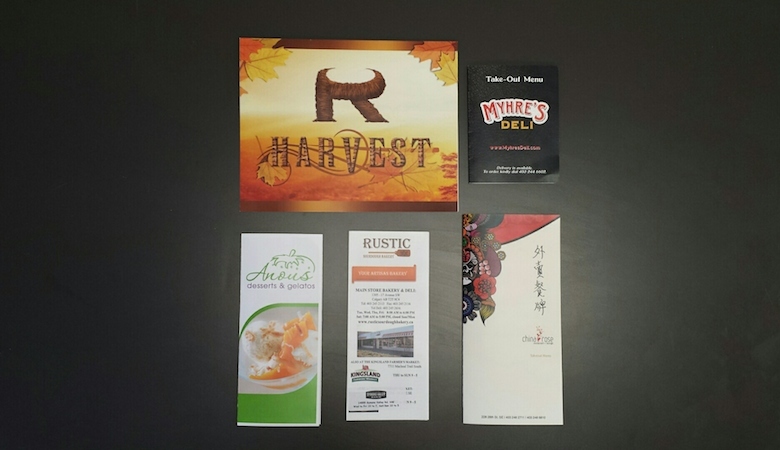 At Minuteman Press we offer a huge variety of folding, laminating, UV coating and custom die-cutting options for your menu. A huge portion of your customers will first look at your online menu to decide whether or not to visit your restaurant. Let our talented designers make the perfect menu, not only for print, but for your website as well. Usage: Menus list what your restaurant or business offers and prices. Perfect for: Restaurants, coffee shops, bars, catering businesses, salons, and spas. Tip: Give a brief description of the product or service under each menu item, it will help the customer with the ordering process.